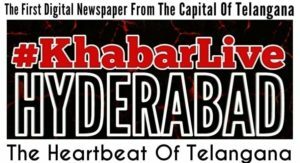 The home-based papad industry of Dhoolpet is on its last legs. The scenes of women rolling out papads and drying them in the sun are now rare sights in the working class area, once notorious for its illicit liquor distilleries and now for cannabis. The scenes of women rolling out papads and drying them in the sun are now rare sights in the working class area. 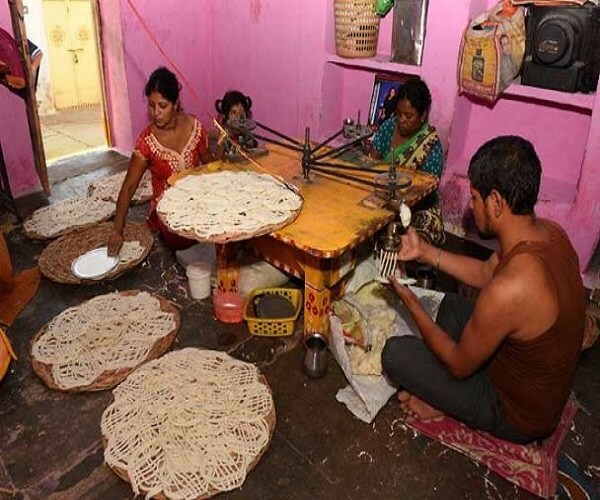 Women in several families, especially those involved in idol making, were actively engaged in making papads and supplying them to traders in the Begum Bazaar market. The commercial hub of the city, Begum Bazaar has several big businessmen trading papads on a large scale. After packing papads under various brand names, they supply them to small-time traders. They are made using rice, moong daal, potatoes and ‘sabudana’ and are in high demand in the market. Anita Bai, 42, a resident of Dilawargunj, has been into papad making for the last two decades. “It is a source of supplementary income in most households, though there are a few families that depend on it during the sunny months,” she said. Several families in the neighbourhood are into papad and kite making, but during Ganesh festival, Durgashtami and Sri Ram Navami, they move to idol making. 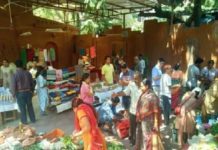 The women are given the ingredients by traders and offered between Rs 40 and Rs 80 for a kilogram of the finished product. “On an average, we make about 10 kg of papad on any given day. It is strenuous work and stretches for five to six hours a day. 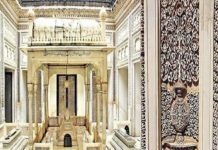 First, we make the mix of the ingredients in big utensils kept on a firewood furnace and later roll out the papads and dry them in the sun,” said Shanta Bai, 50, of Dilawargunj. Latha Bai of Balramgalli says the vocation is on its last legs. “Young girls and women are not interested in the strenuous work. Many girls are getting educated and preferring comfortable jobs. The remuneration is too less,” she explains. The women say they get more profits if they directly sell to customers. “Direct selling is remunerative, but we have no funds to take it up. Again, finding customers and the market is a problem. If authorities come forward and help us, we might be able to do it,” they feel.